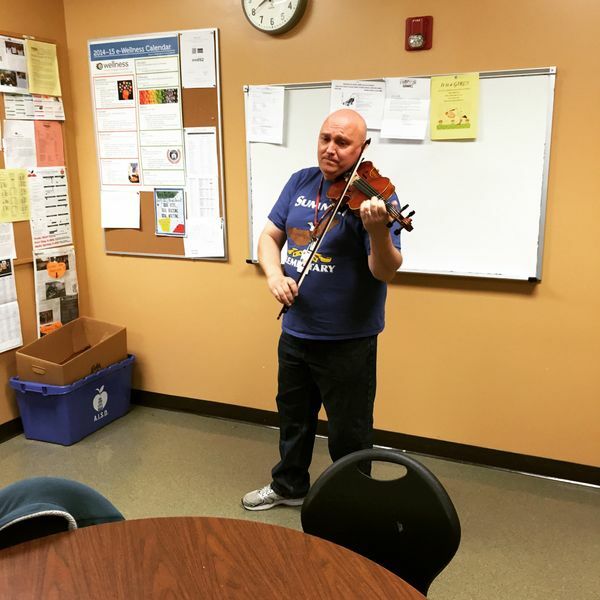 Thanks to orchestra director Mr. Paul Robertson for the violin concert in the teacher's workroom this morning. Faculty got to enjoy not only the Rudy's BBQ breakfast tacos but some cool arrangements of some classic and popular tunes. Definitely a good way to kick off the STAAR testing season.